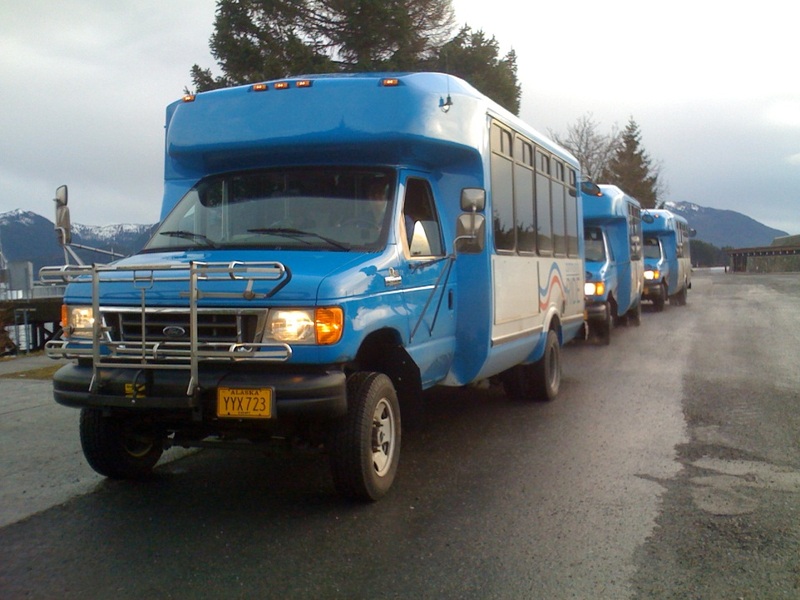 Our partner, Sitka Tribe of Alaska, operates the “blue buses” called the RIDE, which is our scheduled fixed-route bus service around Sitka. The RIDE operates from 6:30 a.m. to 7:30 p.m., Monday through Friday. 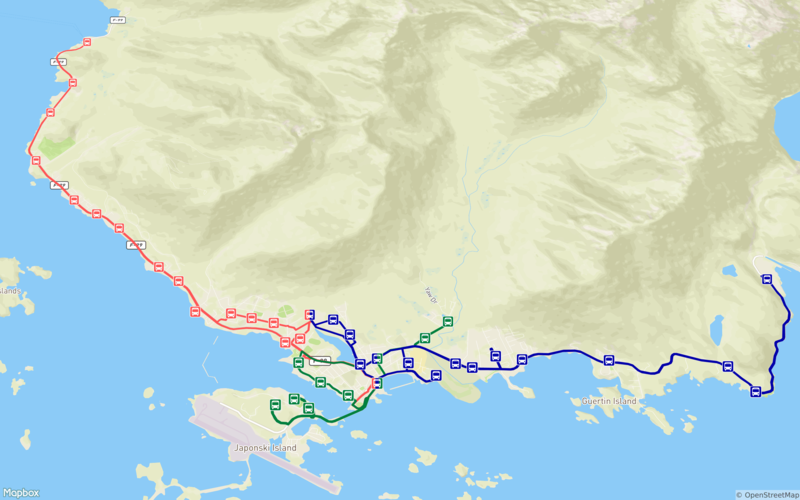 The RIDE runs three routes — Red Line (Halibut Point Road), Blue Line (Sawmill Creek Road), and Green Line (Japonski Island and Indian River). The map below shows the routes in relation to the map of Sitka. All routes leave Crescent Harbor parking lot downtown at 45 minutes past the hour. The Green route also leaves Crescent Harbor parking lot at 15 minutes past the hour. $2.00 per one-way ride for adults. $1.00 for seniors (age 60 or older), children (age 6-17), or persons with disabilities. Children younger than age 6 ride free with an older passenger. Call 747-7103 for information about the RIDE. Monthly passes and punchcards can be purchased at Old Harbor Books, Sea Mart, and the Sitka Tribe of Alaska / Sitka Tribal Enterprises main office (456 Katlian Street, upstairs).